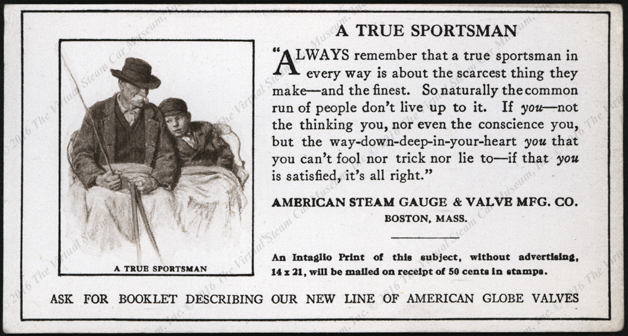 The American Steam Gauge and Valve Manufacturing Company made gauges for some early steam cars, as did the Crosby Steam Gage [sic] and Valve Company. 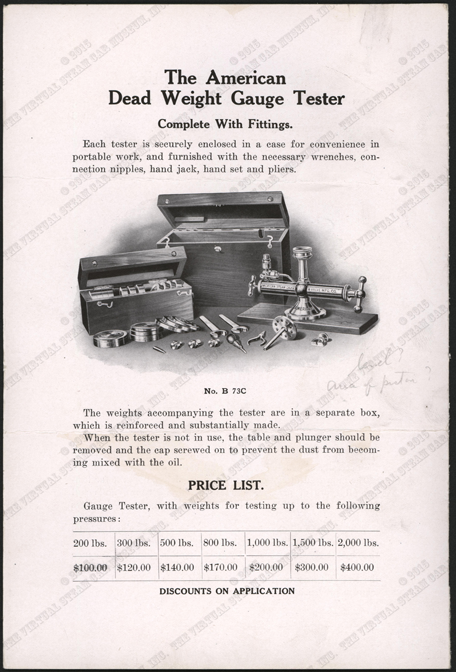 This letter came from the files of the Manchestr Traction, Light, and Power Company of Manchester, NH. 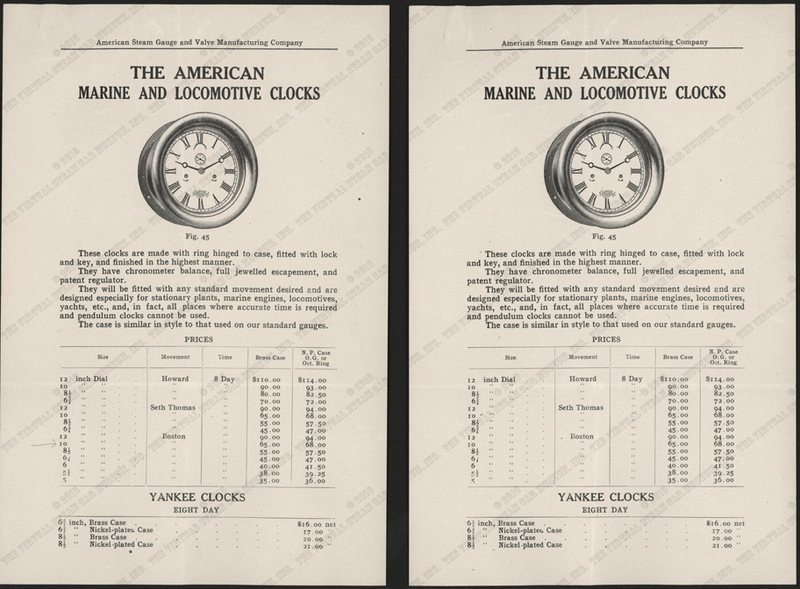 It was accompanied by the Yankee Clock flyer below. They were acquired from a dealer at Hershey in 2015. The dealer had been selling paper from this collection for several years. 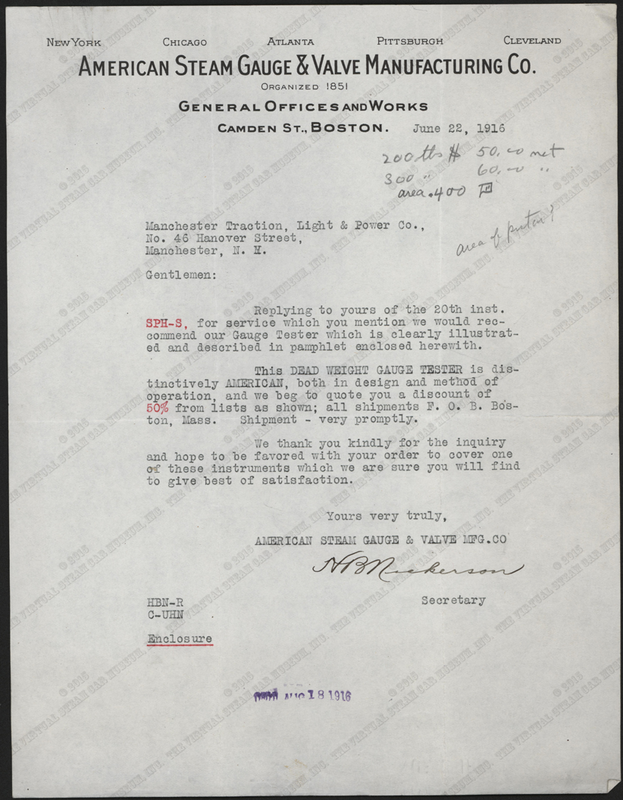 This letter came from the files of the Manchestr Traction, Light, and Power Company of Manchester, NH. 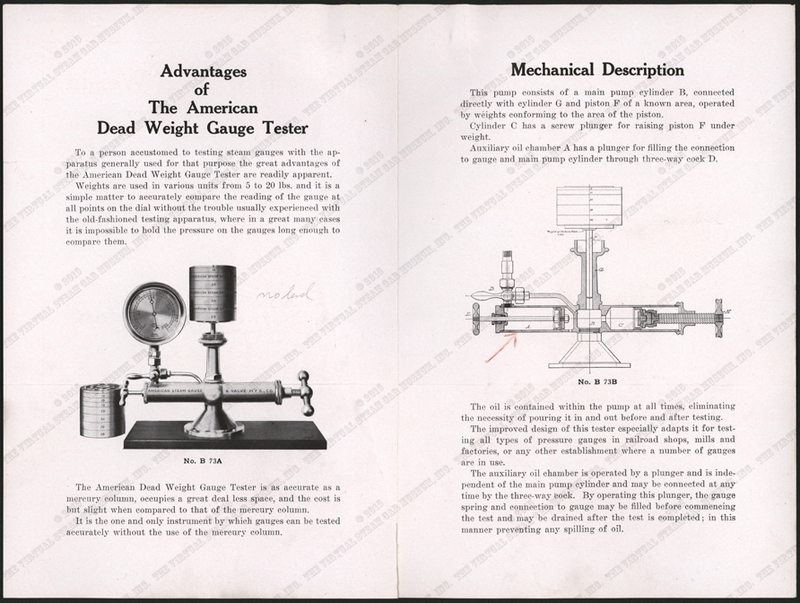 It was accompanied by the American Dead Weight Gauge Tester trade catalogue below. They were acquired from a dealer at Hershey in 2015. The dealer had been selling paper from this collection for several years. 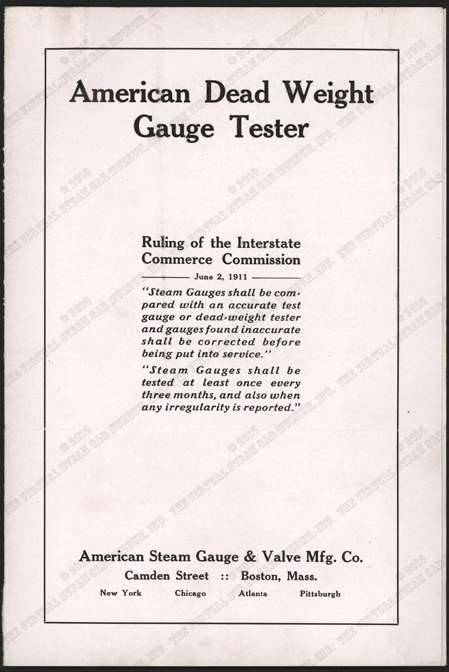 This blotter was designed to sit on the desk of an existing or potential customer. 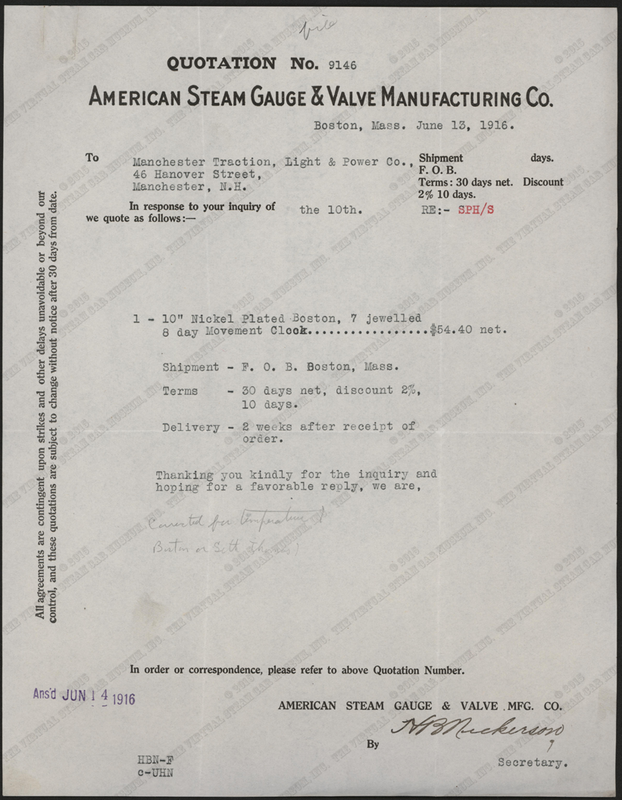 This invoice has nothing to do with steam automobiles, but it illustrates the Company's early imaging. 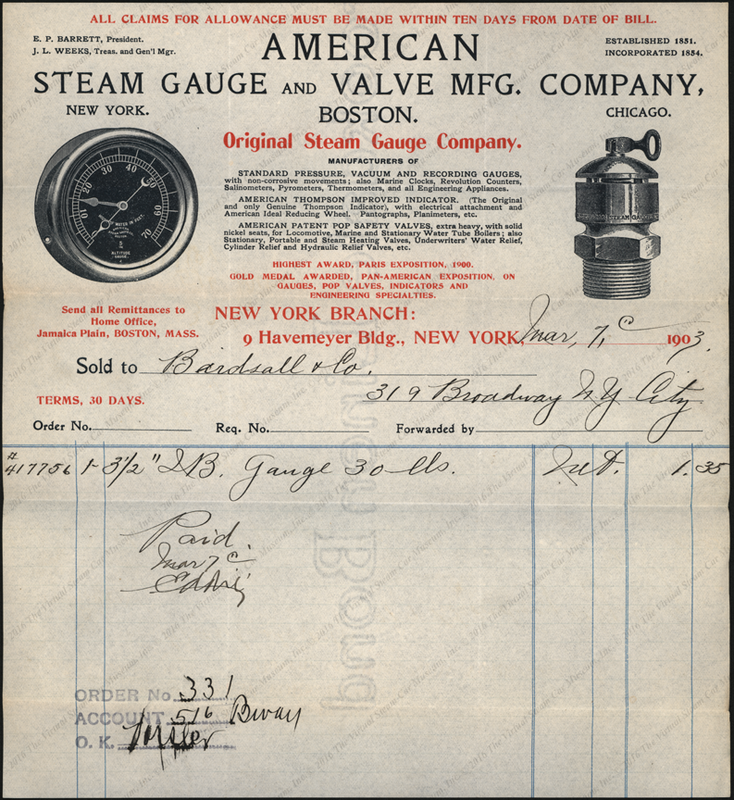 Contact us if you have additional information about the American Steam Gauge and Valve Manufacturing Company, or if you have questions.